Irvine, CA—The National Association of Women in Real Estate Businesses (NAWRB) in partnership with the U.S. Small Business Administration (SBA) Santa Ana District Office presented the Women in Housing Financial Fitness Road Show this month at the Lutron Experience Center in Irvine, CA. 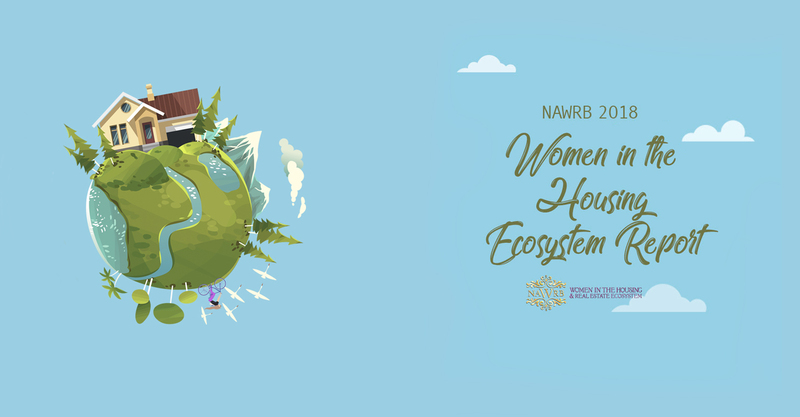 NAWRB’s Inaugural Women in Housing Financial Fitness Road Show is a first-of-its-kind, breakthrough program for women in all industries within the housing economy. More than just tools to navigate women’s existing business through the changing terrain, NAWRB’s Women in Housing Financial Fitness Road Show reached a whole new level. Utilizing a specialized hybrid of women in housing and women in government outreach, women can take advantage of the fast track niche. By connecting women with federal and local programs, set- asides, funding options and contracting opportunities available to grow their businesses both vertically and horizontally, women in housing will have the awareness to sustainable growth and live beyond commission to commission. Hosted by Morgan Stanley – Richard Downer First Vice President, Wealth Advisor Vivian Afriyie, a Morgan Stanley financial advisor, opened the event in dramatic fashion showcasing asset based loans vs. traditional income and credit based loans. Recently, Morgan Stanley closed a 150 million dollar commercial real estate loan in 6 weeks. “Bringing the shock treatment with our takeaways from $25,000 SBA business loans to the $200 million dollar Morgan Stanley Diversified Securities for clients, really ignited the awareness in the room,” stated Patno, CEO and Founder of NAWRB. 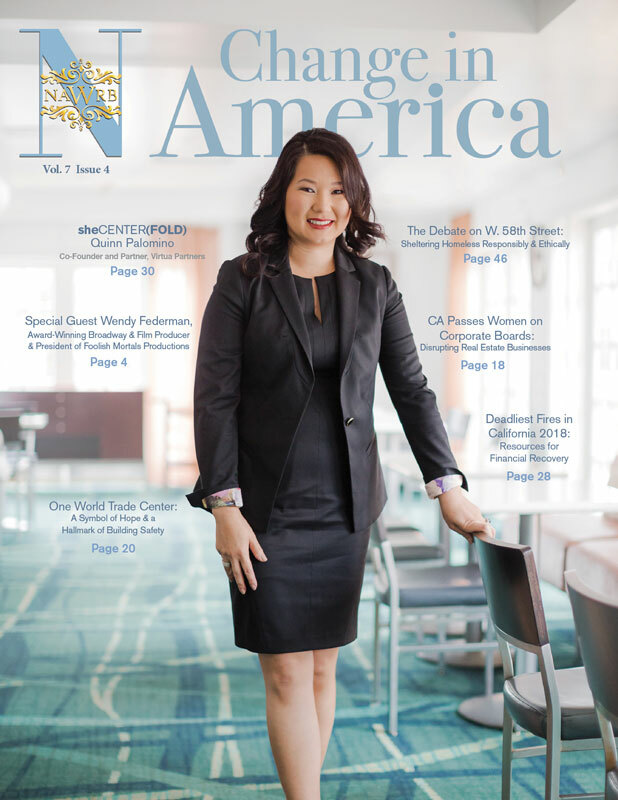 About NAWRB: The National Association of Women in Real Estate Businesses (NAWRB) is the most visible women’s trade association specializing in the housing economy. 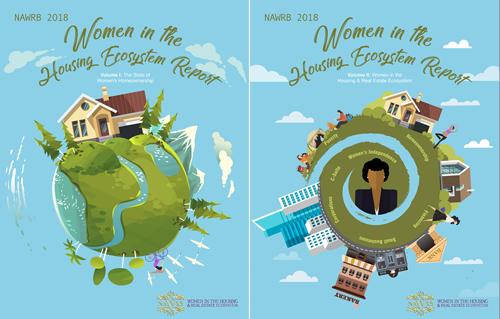 NAWRB is dedicated to providing women the tools and opportunities for economic growth and expansion, while advocating and promoting women-owned businesses specializing in the housing economy. NAWRB is the only third-party industry-specific certifier of Women-Owned Business (WOB) and Minority Women-Owned Business (MWOB) certifications specializing in the housing economy. The Federal Deposit Insurance Corporation (FDIC) appointed Segundo Pereira as the new Director and Officer of the Corporation for the Office of Minority and Women Inclusion. Pereira will replace Andrew Gray, who accepted a position at JPMorgan Chase. A rise in the use of VA home loans is improving the housing market and the ability of veterans to obtain home loans. Veterans who would not previously qualify for a home loan are utilizing the many benefits stipulated in the VA program. Women entrepreneurs chosen from two countries—Afghanistan and Rwanda—were flown to the United States earlier this week to participate in the last segment of the 2014 Peace through Business program in Dallas, TX. The U.S. Department of Housing and Urban Development (HUD) and the U.S. Department of Treasury released their findings on the current housing market in their June housing scorecard. The scorecard is a monthly report on the U.S. housing market that compiles data from multiple sources to provide a complete look at foreclosures, defaults, construction, and sales for that month. A day is made up of seconds, minutes, and hours. Today means yesterday is forever gone. It’s the most fundamental part of life and entirely up to us, as real estate professionals, to determine what we do with the amount we’ve been given. Real estate technology innovators are pioneering new ways for us to be more efficient, allowing us to maximize every bit of our precious time. Rule tomorrow by embracing technology today. So how did today begin for you? When you woke up did you instantly grab your smartphone, tablet, or notebook? How different was your morning routine 5-10 years ago? Gone are the days of responding to a client’s needs after you get into the office. Some of us may long for those lingering mornings, while others can’t wait to connect, check in, reply, and update our status. No matter your viewpoint, technology is encroaching on our daily lives and it will continue its creep. Clients’ expectations have changed as well. Because there is no stopping this momentum we should view this shift as an opportunity to improve customer service and satisfaction. In order to stay ahead of the competition you must embrace technological advances, discover your “value-added,” and utilize tools that work for you. One cannot say they are truly leveraging technology by simply having a website. Search portals are syndicating listings in complex ways and driving that traffic directly to their doorstep. Small brokerages simply cannot afford to compete in this space; the advertising budgets of online giants like Zillow and Trulia are huge. Of course, I’m not advocating that you take your site offline or stop updating it, but you need to recognize the role it plays in your marketing strategy and bottom line. The next time you sit down with a potential seller, consider this statement, “your listing will be featured on my website,” is not as important as it was a decade ago. You need to create real value for your clients by introducing cutting edge tools that will help them sell their home for the most money and in the shortest period of time. Yes, this concept of time is important to a busy seller too. Win their business by demonstrating that you are the forward-thinking expert. Empower them to focus on their responsibilities without worrying about how much time the process of selling their home will take. Warning: if you are scared of technology, you are at risk of being left behind. It’s okay to admit that you aren’t the most comfortable or proficient. However, stating that it adds little to no value to you could be detrimental to your long term relevancy in this business. Although an agent’s role in a real estate transaction will not be replaced, technology solutions are subtly altering the process by minimizing your involvement with each step along the way. This is essentially giving you more time to exceed expectations. Don’t waste it. This trend will continue so you need to find ways to remind your clients of your value proposition. You cannot let technology run you, you must learn to control it. Take a moment and think about the logistics of your business. Agents in your office may complete the same task with various degrees of efficiency. Everyone finds what works best for them. What works for you? What do you do manually now that you wish you could do digitally? If you are manually doing something that can be automated, you’re wasting time. In today’s robust app marketplaces, you are bound to find a solution that is just right for you and your unique approach to your business. Finding that perfect mobile application that helps you take notes, scan documents outside your office, or generate new leads should be fun and more often than not, free. But stay focused. Remember to choose the apps that will help you accomplish your goals in a manner that works best for you. 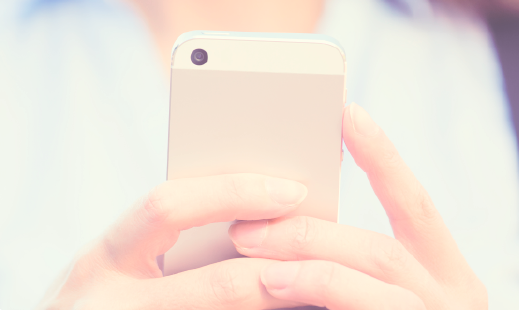 In terms of prospective buyer business, these same mobile apps have ushered in new ways to communicate and connect with people. Prospective buyers are moving their fingers from dial pads to keyboards for texting, “liking,” and tweeting in far greater numbers than ever imagined. They want information, they want answers, but most of all they want us. Not tomorrow or even tonight, but now. Equip yourself with the technology you need to be a digital “first responder.” When you find that the apps you’re leveraging are creating more time for you to prospect, you’re on the right track. In a world where time stops for nothing, be prepared to seize the moment whenever and wherever it presents itself. 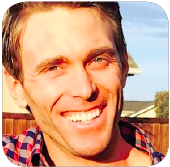 Clark Giguiere has over a decade of experience in commercial and residential real estate, and five years of high volume REO sales and investment experience. He is also the Founder and CEO of AgentPair, a mobile app that connects consumers with agents for on-demand home tours. Women entrepreneurs have steadily emerged as leading contenders among new business start ups. Although statistics show that the rate of women starting businesses has significantly increased over the years, women entrepreneurs are still experiencing undercapitalization. July has already proven to be a monumental month for women in both business and the housing economy. Earlier this week, the top business professionals and most influential business women were announced for multiple news outlets and websites. Women maintained strong presences on all lists and reports.